In honor of Valentine’s Day a couple of days ago, I wanted to share my Top 10 favorite fictional couples. It was a little hard to compile the list, but when I thought about the couples I was most excited to see come together, these were the obvious ones. These are not in any real order, though I tried to save the best for last… which is a little hard to choose when you love them all so much! 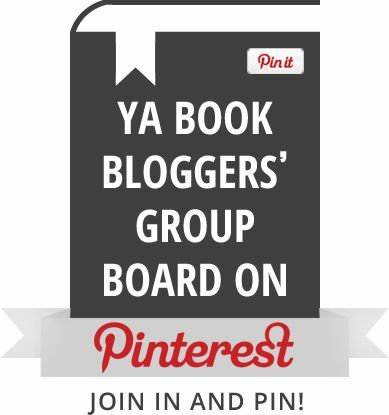 There are spoilers for two Star Trek series, The Hunger Games, some Jane Austen stories, and other things as well, so proceed with caution. Let’s get something straight here: there is only one Pirates of the Caribbean movie, savvy? There were no sequels, savvy? The characters were never completely rewritten in order to accommodate ridiculous plot points, savvy? Now that we are clear on that, I love Will and Elizabeth. When I first saw this movie as a junior in high school, I absolutely swooned over Will Turner (ironically, when I first saw this movie my future husband was probably in the room with me… little did I know!) and I adored just how much he cared for Elizabeth. He’d die for her! He’d partner up with a pirate to save her! He was the best and she held her own too. I have never watched The Office consistently, but let’s be real, who doesn’t love Pam and Jim?! It’s the sweet story of a guy falling for a girl who’s engaged to someone else, but in the end manages to get her. It’s romantic while still being real, not a fairy tale but completely adorable. 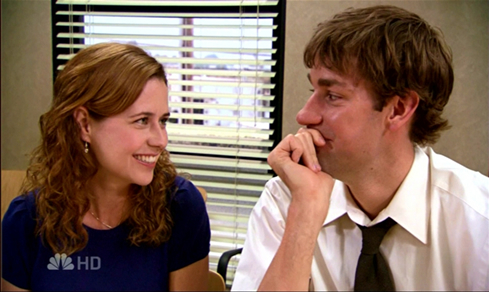 I love how Jim persevered through it all to win Pam over in the end. In the very first episode of Enterprise, when I saw Trip and T’Pol and their tension, I knew that there was a very good chance they would end up together. And it certainly did not seem like they would when T’Pol went through the marriage ceremony with her betrothed that she really cared nothing for in order to help her mom, but after T’Pol’s husband agreed to a divorce (which I am not a fan of by any means, but in this case it was really more of an annulment), she was available once again. Of course between their hurt prides and egos it was not a simple reunion, but she finally admitted to Trip she actually did care for him. We’ll just say the rest is history, because we all know that Terra Prime is the real finale, not These Are the Voyages (curse you Rick Berman and Brannon Braga!). I almost didn’t think of these two, but once I did, I knew they belonged on this list. When I watch Tangled, I feel like a little girl all over again. I’m pretty sure it’s my favorite Disney movie and I wish I could have had it in my childhood. 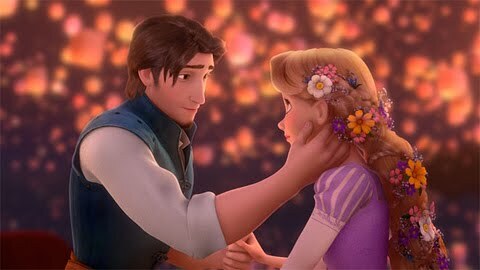 I love how Rapunzel recruits Flynn Rider to help her escape her tower and find the floating lanterns, and that he is just trying to stay out of trouble, but somewhere in the middle of it all, they completely fall for each other. And the scene with them in the boat as the lanterns float around them is breathtaking to watch. I have never gotten so excited about a couple in an animated movie as I have with these two. 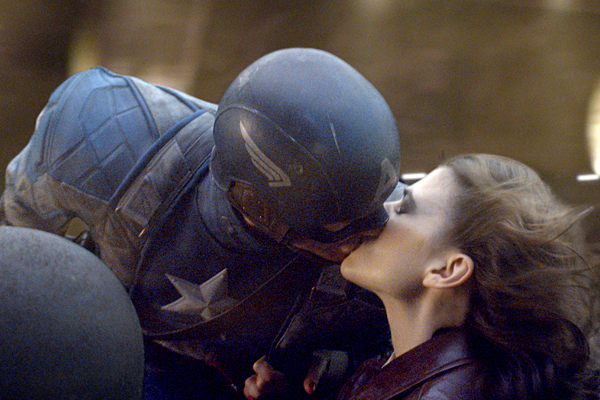 It breaks my heart to even think about Steve and Peggy. Unfortunately, the ending isn’t as happy for these two, as Captain America seems to meet his demise at the bottom of the ocean, only to be revived decades later. Throughout the movie, I just loved every moment these two had together. In this movie, Peggy Carter easily became one of my favorite female characters of all time. She was strong and feminine at once, and absolutely steadfast and devoted to her work and to waiting for Steve. I felt my heart break into a thousand pieces when Steve realizes what year it is and laments, “I had a date.” Tears! The 2005 film Pride and Prejudice was my gateway into the world of Jane Austen, and boy did I ever fall in love with Elizabeth Bennett, Mr. Darcy, their mishaps, and their finally getting together in the end. I loved this movie so much I used “Liz On Top of the World” from it as my processional in my wedding. 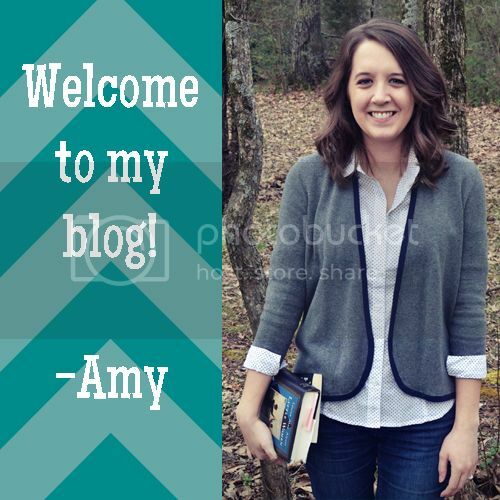 Of course none of us love Mr. Darcy in the beginning. He seems so cold and proud. But as the story unfolds, we understand the complexity of his character, how loyal and caring he truly is. I also related to Elizabeth so much, and understood exactly why she felt the way she did. What a relief it is the end when we finally see her come around and he asks for her hand in marriage once again. Other than Jane Austen movies, this is pretty much the chick flick for me, as I’m not a fan of most of them. But what I love about While You Were Sleeping is that it isn’t crude and every character is so well-rounded and wonderfully quirky in their own way. Lucy thinks she’s in love with Peter, who she sees everyday at work when he boards the train. One day when he falls on the track and she saves his life, she rushes to the hospital to see him. Through a misunderstanding, the nurse tells Peter’s family that Lucy is his fiance, and craziness ensues. Of course, they’re upset that Peter (who is in a coma and cannot speak for himself) never bothered to tell them about Lucy, and while Lucy tries to explain who she actually is, they accept and welcome her into the family. As Peter sleeps, the situation gets even stickier when Lucy grows to care for his family, especially his brother Jack. He, in turn, falls for her, but feels it’s sort of hopeless. Thankfully, all misunderstandings are resolved in the end, and of course Lucy and Jack end up together after all. It was hard to put this higher on my list than Elizabeth and Darcy, since they were my first Austen couple, but I think I might like Emma and Knightley as a couple even more. Their romance is like a sleeper hit, slowly and quietly blooming over several years of friendship. Emma is not interested in marrying anyone herself, but loves to match others. This results in some disasters, and she herself finds herself taking a liking to the mysterious but playful Frank Churchill. But when he leaves for a time, she realizes she does not miss him too much, just a little as a friend, and when her friend Harriet Smith reveals she has feelings for Mr. Knightley, Emma suddenly grows jealous. Mr. Knightley is aware of his feelings much sooner, though he bides his time and is a perfect gentleman throughout the story. And when they finally come together in the end, you know it’s a perfect match. Who’s your favorite fictional couple? If you like this blog post, check out House of Geekery’s Top 10 Couples in Geek Fiction! What a great list! Oh Mr. Knightly! My mom and I have always thought he looks like Zach. I do love Chuck and Sarah! And of course Han and Leia are a great classic couple! I have actually never seen You’ve Got Mail (I hope to get around to it one day!) or Psych.